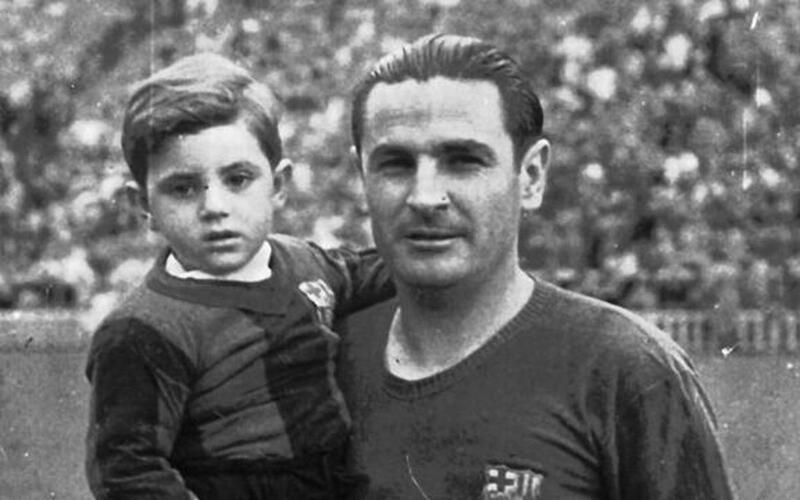 He came to Barça in 1940 from local club UE Sants, and was soon one of the stars of the team. According to the sportswriters of the time, Valle’s football was "extremely scientific, with a perfect touch." His pinpoint crosses were a guaranteed goalscoring opportunity for strikers César and Mariano Martín. When he gave up playing, he went into management and after that put his heart and soul into the Former FC Barcelona Players Group, where he was popularly known as the ‘Guardian Angel of the Veterans’ because of his frequent visits to former players that were going through financial or health related hardship. For a man of 81, the work he put into the celebration of the club’s centenary in 1999 was quite remarkable, for he took responsibility for the duty of seeking out all of the veterans with which the club had lost contact over the years and get them all back for a reunion gathering on April 29, 1999. The reunion was a huge success. Of 329 former players, 321 were located, and 250 were able to attend.